If you’re an outdoor enthusiast you know how important the roof rack on your car is for transporting your equipment. One persistent problem with roof racks is that they rattle and equipment can violently vibrate when you’re driving. This can be very annoying, but it can also lead to damage to your expensive equipment or to your car. Luckily our soft/flexible Wobble Wedges® can stop the rattles and make the haul to your next adventure so much nicer! Most ski racks have a rubber molding that clamps the skis in place. Where you might run into issues is if you are transporting multiple sets of skis that aren’t all the same size. If some of the skis aren’t held in place tightly, you will likely hear a rattle once you hit the road. To fix this issue, with the ski rack locked in place determine which ski(s) can still move. 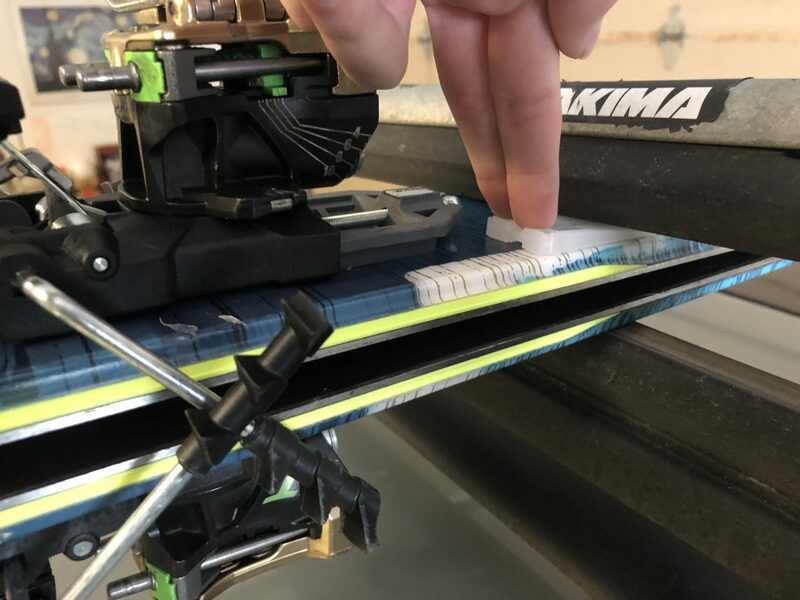 Open the ski rack and place a soft/flexible plastic Wobble Wedge® on top of the ski where the rubber of the rack will make contact with it. Close the rack; check if the ski is still able to move. If so adjust the placement of the soft plastic shim so that more of the shim is under the rubber molding. If the tapered shim isn’t big enough to fill the space, use two or more plastic shims until the space is filled. The patented interlocking ridges of Wobble Wedges® means that they won’t slip and will stay right where you need them. With roof mounted bike racks the tires can sometimes not be fully stationary. As you pick up speed while driving the tires will move, vibrating and squeaking against the rack or roof of your car. Wobble Wedge® soft/flexible plastic shims are a perfect solution to this problem. Wedge the tapered plastic shim under the loose tire so that it firmly holds the wheel in place. The interlocking ridges of the plastic shim will grip the rack or roof of your car, and stop the wheel from moving. And you don’t have to worry about your paint job either, because the soft plastic won’t leave a mark! If the issue is with the straps not being tight enough while holding the frame of the bike, Wobble Wedges® can help with this too. 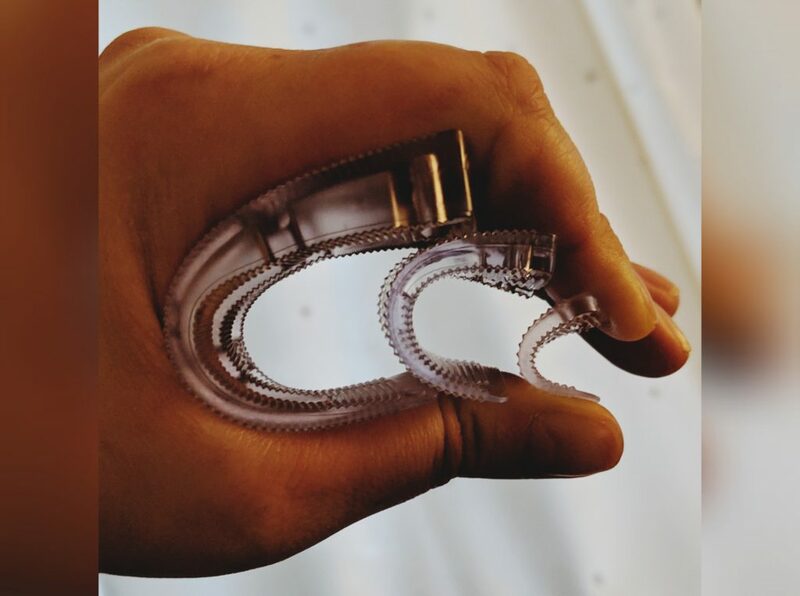 Our soft/flexible shims can wrap around the curve of the frame, filling the space between the bike and the strap. It’s important to remember that the offending noises could be coming from the equipment not being held tightly OR from the rack itself not being fully secured to the car. If the equipment is held securely, it’s probably the rack itself that is the issue. Check each point of contact between the attached rack and the built-in car rack. If there is any movement at the points of contact, this will cause vibrations from the wind rushing over the rack on your car. To stop this noisy rattling place our soft/flexible Wobble Wedges® between the detachable rack and the car. As you tighten the rack in place the soft plastic shims will grip the rack, holding it in place and stopping the offending noise. Soft plastic Wobble Wedges® come in three different sizes: BigGap™ to fill large spaces at .48” high, standard wedges are .25” high, and Mini wedges that are .16” high. All three of these sizes can bend and flex to fill any space!